Here, in Election Keepy Up, you can help Mccain or Obama in the election. First choose your support side and then your mission is to keep the potential president up, and if he fells on the ground, the game will be over, and the longer you hold, the more points you can get. There will falling some items such as house, cash bag, caw, click on them to get more points. Don’t touch torpedo and broken bear bottles or you will lose your game. Try to summit the high score board. This skill game can be found on www.bestgames.pk. Good luck! 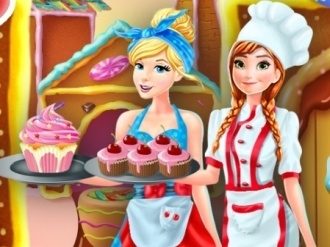 We have the most amazing game for you in which you will take care of your favorite princesses, Rapunzel and Elsa. Both of them are about to become mommies! Click play and have lots of fun! 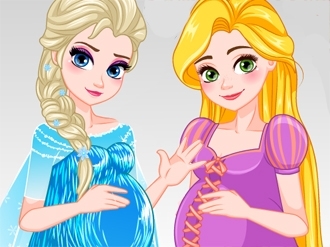 You will start by choosing your character: princess Rapunzel or Queen Elsa. You will then play some fun mini games: finding the mommy's favorite food, playing a lullaby for the baby, making a healthy smoothie and giving the princess a foot massage.